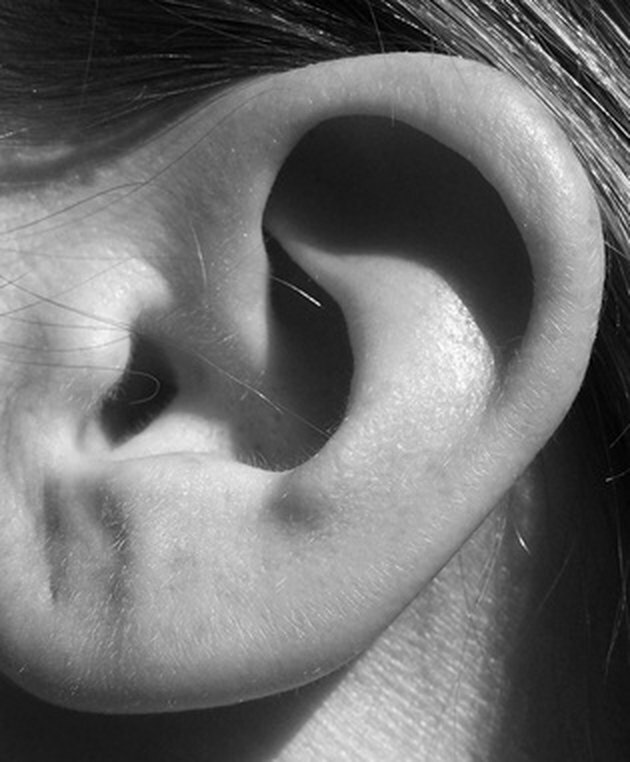 If your ear feels uncomfortable, itchy or painful, it may not be a serious condition. In some cases, ear discomfort may be caused by wax blockage, getting soap or shampoo in the ear, or an accumulation of water from swimming or showering. If your doctor approves, you can use white vinegar as a home remedy to balance the pH levels in your ear and reduce your symptoms. If you routinely clean your ear out with cotton swabs, you may be irritating the ear canal, making it feel itchy and uncomfortable. Tip your head to one side so your ear canal is facing the ceiling, then use a dropper to drip vinegar down the side of the ear canal to prevent air from getting trapped inside. Fill the ear canal with vinegar and wait for five minutes before tipping the head back over the sink and tugging on the earlobe to remove the vinegar, advisess the Hospital for Sick Children. Swimmer's ear is a bacterial infection that may occur when water gets into the ear during swimming or showering. According to MayoClinic.com, a solution of rubbing alcohol and vinegar may help prevent the growth of bacteria that causes swimmer's ear. Mix one part white vinegar and one part rubbing alcohol in a small cup, then pour 1 tsp. of the mixture into each ear before and after you go swimming. Tip your head over the sink to pour out the solution. Earwax helps protect the ear against infections, but sometimes it may harden and migrate toward the eardrum, which may be painful and cause temporary hearing loss. To soften the ear wax and allow it to emerge from the ear, flush it out with a water, hydrogen peroxide and vinegar solution, recommends Dr. Douglass Hoffman. Mix one part vinegar, one part water and two parts hydrogen peroxide in a small container. Let the mixture sit until it warms to room temperature, then pour a small amount of the liquid into the afflicted ear. Repeat once or twice a week until the blockage dissolves. Can You Swim With Swimmers Ear?